EVERYTHING we know about series 2 of Netflix’ hit stalker show You | SHEmazing! We've been addicted to You since Netflix released it back in December, and pretty much binged the ten episodes in a row without so much as a toilet break. It was unhealthy. The show follows the narrative of bookstore manager Joe, and his infatuation with poetry writer Beck. Beginning as an online stalker, Joe gradually becomes more sinister as his obsession escalates throughout. 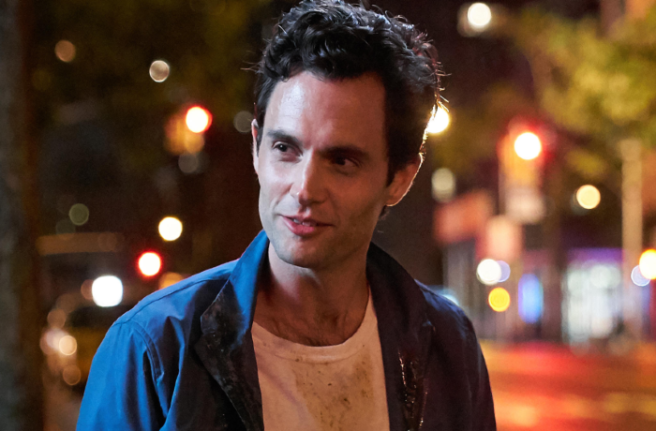 Starring Penn Badgley, otherwise known as Dan Humphries from Gossip Girl, and Pretty Little Liars' Shay Mitchell, the show had us seriously addicted. News broke that the show is getting a season two, and we want DETAILS, OKAY? The show is based on the book by Caroline Kepnes, which means that avid readers can discover the future of You. Anyone who is already a fan of the novel will know that season two will be based in Los Angeles. Rather than remain in New York City's urban jungle setting, Joe relocates to LA for a change. Elizabeth Lail confirmed in a recent interview that the next season will see major alterations, including the progression away from Beck's character. "I think they’re shooting it in LA, and so nothing will be the same. Hardly anything. It’ll be a whole other story,” she told Radio Times.about the sequel, Hidden Bodies. Writer Sera Gamble also told Metro.co.uk, "We are prepping to shoot season two now, in Los Angeles. Which is also where the second book of the series takes place." "There's a lot more to explore about Joe from earlier in his life. Those are the things we're starting to get into for season two,” she told The Hollywood Reporter. As anyone who watched season one will know, Beck and Peach probably won’t return (maybe as ghosts?) but we may get to see some flashbacks, judging by Candace's role. As of right now, there is yet to be a set air date for season two, but we'll be keeping our eyes peeled.